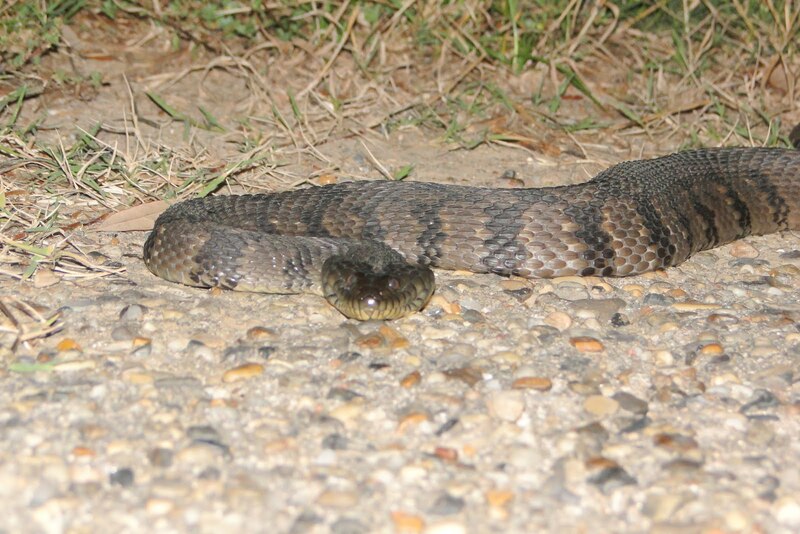 it's too bad that it was nearly dark yesterday evening when we encountered this rather large snake. 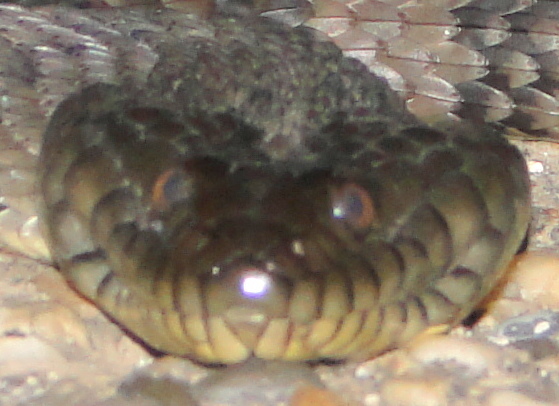 we're unsure what kind of snake it is. 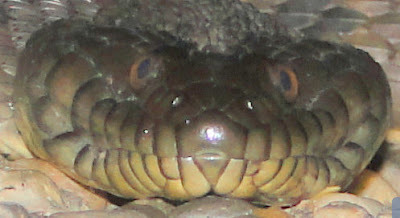 it could be a banded water snake. it seems to have a rather amused look. dont worry we didnt harm this snake and it was allowed to continue on its way.